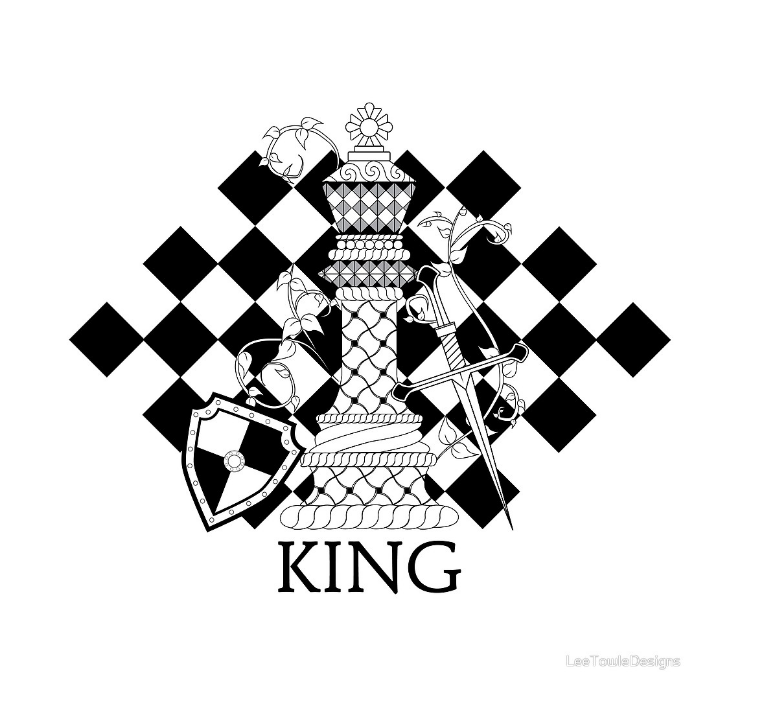 This collection features a black and white illustration of a fantasy King Chess piece surrounded with growing vines, shield, and sword, against a Chess Board background. For the King who wants to show off his Queen, we also have a Queen Illustrated T-Shirt and collection available. Queen Chess Piece T-Shirt and Collection. I have a variety of other Chess inspired artwork, including the Pawn Chess Piece Collection and the Knight Chess Piece Collection. This unique illustration is printed on a variety of t-shirts, sweatshirts, mugs, travel mugs, and more. Below is just a sample of the items available. Click on the button below to see all available items in this collection.